Cyprus is to undergo a money laundering assessment from a Council of Europe committee comprising a group of experts from Moneyval following negative reports in the international media. AFTER negative international media in connection with dirty cash, Cyprus is set to undergo an assessment from a Council of Europe committee set-up to combat money laundering. Moneyval, a group of experts on combating the legalization of income from illegal activities and financing of terrorism, is to conduct research in cooperation with Cypriots authorities and submit a report to the Council of Europe. The report under the title “Special Assessment of the Effectiveness of the Customer Due Diligence Measures in the Banking Sector” will examine to what extent money laundering is an issue in Cyprus and what measures need to be taken by banking institutions and authorities. Moneyval’s assessment, which is to take place in 2019, is expected to be of interest as Cyprus is the target of criticism both in Europe and the United States while, occasionally, various foreign press reports raise allegations of dodgy Russian money in Cyprus. Its last comprehensive review was conducted in 2011, prior to the events of March 2013 which led to the bail-in and the deposit haircut on a significant number of Russian investors. There are frequent allegations of Russian capital, allegedly obtained via illegal activities, passing through the island via shell companies. Cypriot authorities have been accused by various organisations in Europe and the United States of exhibiting tolerance for suspicious flows of Russian capital, arguing that they pose a threat to Europe’s banking system. The Wall Street Journal, in an article published on Monday, argues that the largest flow of Russian money into the EU comes from Cyprus, which has become the largest source of foreign direct investment in Russia. Last week, the EU observer reported that Cyprus remains the weakest link in the European banking system due to the easy access for Russian funds to domestic banks. 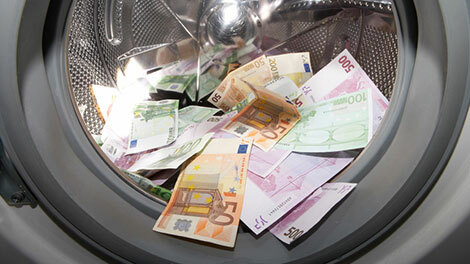 The supervisory authorities of the country find the accusations to be unfair and believe that all the appropriate measures have been taken to combat money laundering. A senior Cyprus Central Bank official referred to the very encouraging comments made by the Assistant US Treasury Secretary for Financing of Terrorism Marshall Billingsley, regarding Cypriot authorities and the work they have put into combating money laundering, after his last visit. Foreign Minister Nicos Christodoulides told news website Stockwatch that the Cypriot authorities have taken very stringent measures to combat money laundering, referring to efforts made by MOKAS, the ‘Unit for Combating Money Laundering’. He argued that since the beginning of 2017, the Foreign Ministry has set up a special unit made up of experts which is financed by the European Commission. Meanwhile, the CEO Bank of Cyprus, John Hourican told the Wall Street Journal that Cyprus has found itself stuck in the middle of a financial war between Russia and the USA. Cypriot Nobel Prize winning economist Christopher Pissarides told the Wall Street Journal that Cyprus cannot be pressured into getting rid of all Russian deposit accounts.